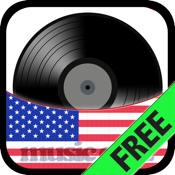 Free US Music Quiz with the best songs from all decades! Play QUIZSTONE® alone or use your knowledge to defeat your friends or random opponents. There is a game mode for every occasion. QUIZSTONE® lets you play & learn at the same time. There is no time to waste. Test your knowledge with QuizStone®!